In last week's column, I highlighted the resurgence of the multi-camera sitcom, spearheaded by several excellent shows such as The Carmichael Show, One Day at a Time and Mom. 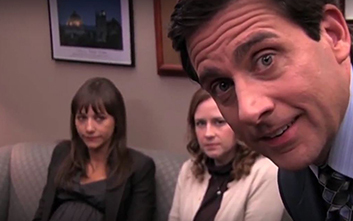 This week, I'll be using those shows to get into the long-lasting debate between sitcom fans: which is superior, multi-camera sitcoms with a laugh track or single-camera sitcoms shot "movie-style" such as The Office, Modern Family and Parks and Recreation? Truthfully, each form has its strengths and weaknesses. At its very best, both form has produced some of the greatest television of all-time - from Cheers or The Mary Tyler Moore Show for multi-camera sitcoms to 30 Rock and Arrested Development for single-camera sitcoms, and those are just a few of the many excellent examples of each form. Multi-camera sitcoms gained a reputation for being sillier and more lightweight, but although that's true of many more recent multi-camera sitcoms such as Two and a Half Men and The Big Bang Theory, the form at its best can be starkly serious - it's hard to top the level of gut-punch when the audience laughter went silent on a show such as All in the Family or Roseanne. And while single-camera sitcoms gained a reputation for being more "niche" and "sophisticated," they can be just as silly and playful as the multi-camera sitcom, as shows like Modern Family and New Girl can attest. Additionally, it's somewhat unfair to blame multi-camera sitcoms for having "cues to laugh," making them somehow less intelligent - after all, isn't the bouncy score of a show like 30 Rock or the "stare at the camera" cues of The Office just as much of a joke signal as audience laughter? So, truthfully? There's not one kind of sitcom that truly stands out as superior, and the "multi-camera vs. single camera debate" strikes me as somewhat silly. While single-camera went through a long period of reigning as where a viewer could generally find the best comedy on television, multi-camera sitcoms are making a great comeback - and, of course, the shows that started the very genre of "sitcom" are multi-camera. So the moral of the story is: don't worry about whether or not there's audience laughter in your sitcoms or not. Just worry about whether or not it's funny.